I tried. I really did. I tried to look for something, ANYTHING that could even be considered passable. I don't like giving things one star, as that pretty much means that it's completely terrible, no redeeming factors whatsoever, but GOSH DARNIT, this show did it. So, I'm just going to pick apart different parts of the show, mock it, and maybe we'll all have a nice chuckle through clenched teeth. Characters: I didn't even bother learning their names. They have about as much personality as a Harvest Moon bachelorette. All I got is one likes cooking, one is weirdly, like, a foot taller then the others, and one sorta looks like Emilia from Re:Zero with a mushroom beret. There's apparently two more. I won't be around to learn about them. Voice Acting: I'll level with you, I can't really tell the difference between good and bad when it comes to Japanese, but I will say that even I could tell it wasn't Emmy worthy material. Also, the audio compression is pretty... not good. It's like they called the voice actors on their cell phone, held the cell phone to the microphone, and they read their lines like that. Music: It's not ear grating, but we've all heard it a trillion times before. Just your generic J-Pop that has been in far better shows. Writing: It reminded me of Dora the Explorer. Anime shouldn't do that. The only audience that I can ALMOST see not hating this would be toddlers, but then they can't even read the subtitles, so WHAT'S THE POINT?! The bright colors?! Unless you want them to have a freaking eye spasm, then don't show them this psychedelic nonsense. I mean, if it was something like Gakuen Handsome, then I could sorta excuse some of the flaws, as it was trying to be bad, and didn't take itself seriously whatsoever, but THIS?! Just... Stay away. This hidden Fairy World is best left hidden. Story: Here's the gist. They look through their little "fairy hole" into the real world and provided absolutely grating dialogue that I'm pretty sure a child could have written high on Quaaludes. Afterwards, they play an enticing game of charades, portrayed through the sickening animation. Then, they talk about their game of charades. That's about it. Here's the thing, though. The conversation, eerily enough, seemed like a real conversation. Not that it was an INTERESTING conversation, mind you, but the little Fairy things were interrupting each other, stuttering, and sounded as though they were actually in the same room, interacting with each other. I'm pretty sure that the director simply told the voice actresses to play charades, while he secretly hid a microphone in the room. Now, this doesn't make this episode GOOD. It's not. It's bad. Very very bad. The animation is even worse than before, if only because they are actually trying to convey motion this time around. There is this little dance number at the end, and I swear to god I heard the sound of Tinkerbell crying. The audio quality is considerably better, I guess the voice actress's phones ran out of usage minutes, because I swear they're under 10. Final conclusion: DO NOT WATCH. RUN. RUN AWAY FROM THE FAIRIES. THEY WILL HAUNT YOUR NIGHTMARES. EDIT: May God have mercy on our souls.... THERE'S A SECOND SEASON. *Holds up a cross* Out! OUT OF THIS HOUSE!!! The voice actresses sound like they literally just phoned in their lines and someone recorded their phone and called it a day. The "animation" is mostly just the 3 characters fidgeting while they stare at a gaping hole about Japan in the sky and provide absolutely boring commentary. I dunno if this tried to be a gdgd Faeries clone or what, but you should go watch that instead for something actually funny. I see a lot of potential in this show to be this year's Naria Girls. A low budget comedy anime starring new voice talent and motion capture animation. I think it needs to focus more on it's comedy and less the fashion and cities in Japan but I'm really excited for it! First, I think someone was on drugs when they designed this and if you are prone to seizures STAY AWAY. Second, the sound is horrid. It sounded like the voice actors that play the fairies were breathing into the microphone in addition to sounding disconnected from the narrator. I suppose for a little, little kid they wouldn't notice but.... yikes! I really love fairies so this makes me sad. It is going to be a big nope for me. There was nothing even remotely worth watching. Do you enjoy art, or more generally, things that make you think about the very nature of society and reality? 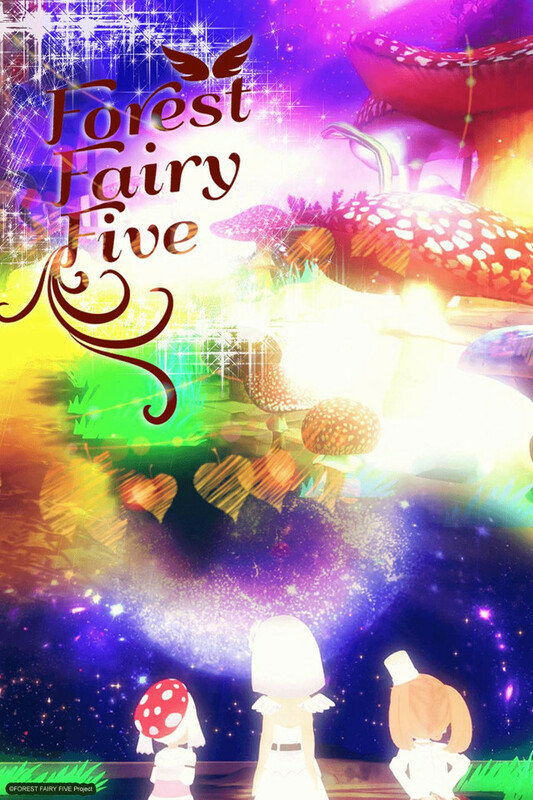 Then this new show, Forest Fairy Five, is for you. With a deep plot and interesting characters, I couldn't help but be surprised and fall in love with this new anime. I highly recommend it to everyone. The voice acting and animation both are on a level never before seen in this industry. I truly believe this, with all of my heart. I really hope this show gets the Ugly Duckling syndrome where it eventually looks good. I say that not for myself but those poor souls who enjoy this garbage. I bet it doesn't get any better. The animation seems rough and made by middle schoolers. I can barley believe my eyes and am amazed they didn't start bleeding. Gave me cancer, regret not smoking that cigarette. This is the worst show I ever seen on Crunchyroll. There is no story, there is no point, it reminds me of a little children show aimed for girls. The animation, there is none. It's all computer graphics and looks like a cheesy video game. I never hated a show on Crunchyroll like I hate this thing. One star, since I could not give a zero star review. The title of this review pretty much says it all. I had to skip parts cause it hurt my eyes so much but what I saw made me think this is the Teletubbies show, in anime form, but SO much worse. From the characters being overly bad cutesie, stupid, excitable, and moronic on levels that put the whole of Nick Jr. to shame to the live action parts this was hot trash at it's ripest. Worst of all it had the audacity to take itself seriously. It makes me wonder : how dumb does the creator of this garbage think the rest of the world is? If your looking for shows/channels for your toddler to watch and maybe learn something Teletubbies, Nick jr., Playhouse Disney, Sesame Street, Blue's Clues are all infinitely better alternatives. Please good people control your curiosity and never watch this bright 10 minute horrible waste of everyones time energy and lifespan and never watch this hot mess. Your eyes mind and soul will thank you for it. You have been warned. just watch GDGD Fairies instead. it's amazing.